I wish I was in Bahrain today but had to leave Thursday night to spend the weekend with NJD. In the FIA World Endurance Championship (WEC), the two Audi driver line-ups are fighting a thrilling battle for the title. As of the sixth of the season’s eight rounds in Bahrain today, a new strategy will guarantee absolute equality of opportunity. Audi will start to compete with two hybrid vehicles to set the agenda for the future. Audi entered the 2012 endurance racing season with two different vehicle concepts. The Audi R18 ultra makes full use of the potential of a conventionally powered LMP sports car with a TDI engine whereas the R18 e-tron quattro as the brand’s first hybrid race car rang in a new era. That both concepts have their particular fortes was obvious on several occasions. While the R18 e-tron quattro made history by achieving the first victory of a hybrid vehicle at the Le Mans 24 Hours and subsequently won the 6-hour race at Silverstone, the R18 ultra managed to score a debut victory at Spa. With the better grid position and fastest race lap by Lucas di Grassi at the fifth round in Brazil, the conventionally powered TDI sports car proved its potential through to the most recent event. Marcel Fässler/André Lotterer/Benoît Tréluyer, after scoring two victories this season in the number “1” R18 e-tron quattro, are leading the WEC drivers’ standings. With 78 points yet to be awarded, Tom Kristensen/Allan McNish trail by only 7.5 points. The Danish-Scottish driver duo of car number “2” is returning to hybrid drive in Bahrain after having run twice before in the R18 e-tron quattro, at Spa and Le Mans. For Audi Sport Team Joest, this involves a challenging task, which thanks to Audi’s uncompromising commitment to the shared components principle is made considerably easier. For the Audi factory drivers and Audi Sport Team Joest, the track in the island state is new territory. The sixth race of the season is scheduled from 4 p.m. to 10 p.m. local time and will thus take place mostly during hours of darkness. Like at all WEC rounds, Audi is offering comprehensive coverage to the spectators at home: http://www.audi-liveracing.com will broadcast the race for six hours on the internet and also offer cockpit camera perspectives and summary reports of the race. 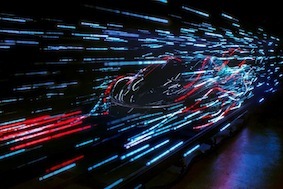 The Audi Sport iPhone and Android apps provide WEC coverage on smartphones with live tickers, news, pictures and results. In addition, Audi’s racing fan community is kept up to speed on Facebook and Twitter. Its awesome to always fall in love…that exhilarating feeling one gets and the best things one can fall in love with are of the non-breathing ilk ….no clutter, no heartbreak, no expectations…man, I could go on. So when I called Alaa to tell him I am in love again, he naturally sighed with an OMG until I told him it was related to his latest note to us about the Rolls-Royce team’s new surprise, Phantom Venus – a one-of-a-kind motor car inspired by the legend of the Queen of Sheba. Revered without parallel in Middle Eastern cultures, the story of Balqis, Queen of Sheba has been celebrated in a car that embodies the beauty and grace, intrinsic to the Queen’s legacy. Conceived, designed and crafted by the Bespoke team at the Home of Rolls-Royce in England, Phantom Series II Venus is adorned in ethereal White Pearl exterior, completed by Oak Burr veneer and Forest Fall leather – creating a luxurious interior ambiance without peer. Hand-painted twin-coachline, finished with gold crown emblem, exclusive to Phantom Venus, elegantly illustrates a story that has been weaved through dynasties and mythology alike. Geoff from Rolls Royce is naturally delighted tobe able to present a car here that so elegantly celebrates an incredible part of Middle Eastern folklore. Perfectly complimenting the theme of the motor car, luxury goods house Asprey has created an exquisitely crafted handbag stitched in Seashell, finished in Forest Fall and White Pearl and embellished with the crown emblem. This exclusive piece perfectly encapsulates the story of a woman who ruled as both king and queen with authority and poise. 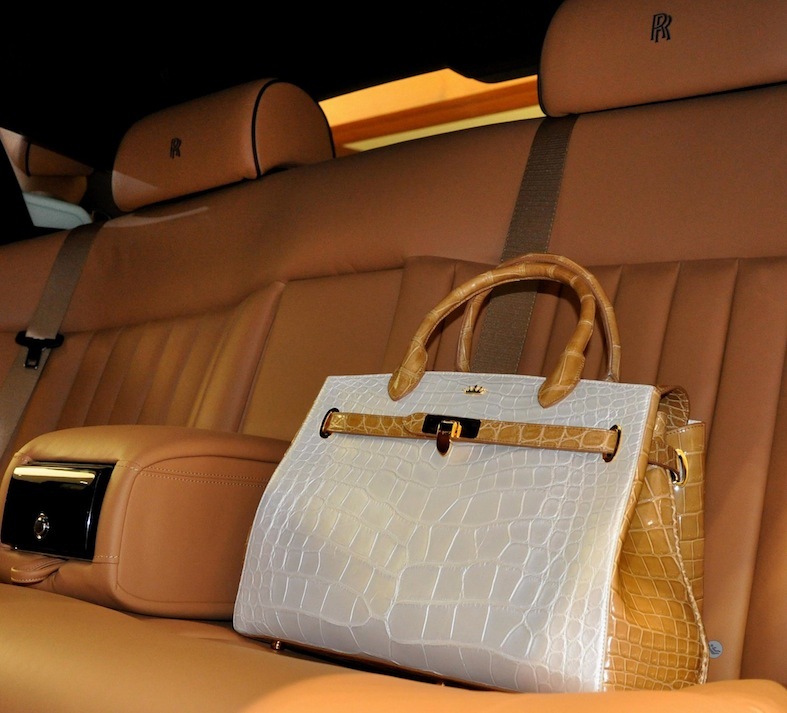 I’m actually not sure if I love the car more or the bag…. Not too bothered as they both give equal amounts of visual and mental pleasure to this diva!